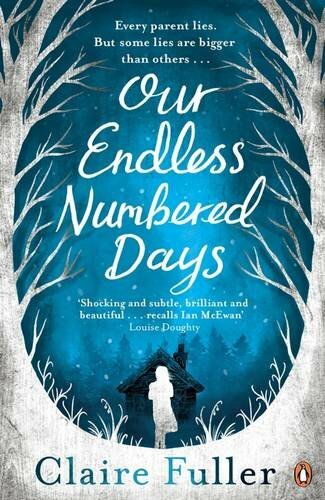 I felt so very sad when I was reading this book, as Peggy's father takes her away to a remote cabin and tells her that everyone else in the world is dead. They are the only survivors after the hilariously named 'Ruskies' obliterated the world. The desolation of the cabin is described meticulously as Peggy and her father forage for food in their quest for survival. Peggy's mother is a famous pianist, although Peggy has never been taught the piano. Her father crafts a make-shift piano out of bits of wood that Peggy plays every day, hearing the music in her head. I loved the piano being a constant reminder of her mother, leading us nicely on to interspersed chapters when Peggy is reunited with her mother years later. There are some things left up to the reader's imagination with Claire Fuller dropping hints along the way about the strangely evolving relationship between Peggy and her father. The sanity of both Peggy and her father is called in to question on numerous occasions and it's hardly any wonder, being so isolated with only each other for company. I really enjoyed this book. 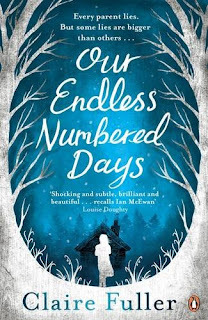 I think it was such an unusual subject to write about and with so few characters involved, it effortlessly drew the reader into the snow covered cabin, so much so that I felt I was almost watching it on a screen inside my head. Brilliantly descriptive, it messed with my head equally as much as Peggy's father messed with her head. I wasn't sure who was real and who was imagined in the solitary world of Die Hütte. I received this e-book from the publisher, Penguin, via NetGalley in exchange for an honest review. Great review. I can't wait to read this book, it looks good. It's so well written, I'm sure you will love it Suze!